Well done, you are the first to put different tangles into each quarter. Your B’twined is great too. This is a beautiful tile, I love it. Using other woven patterns is a super idea. 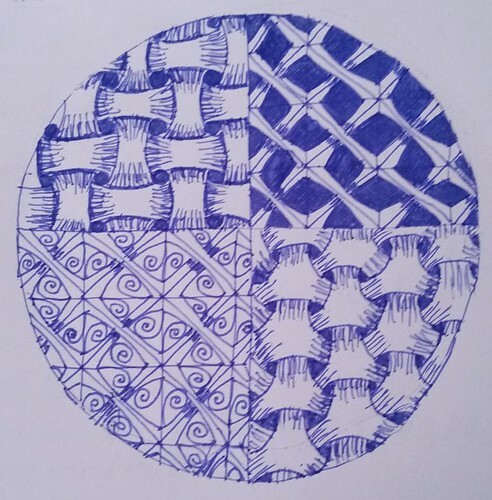 I love the looks of the woven patterns, but have a really hard time doing them. Great job. I love your tangleation page and your Joey piece is beautiful! this is terrific. 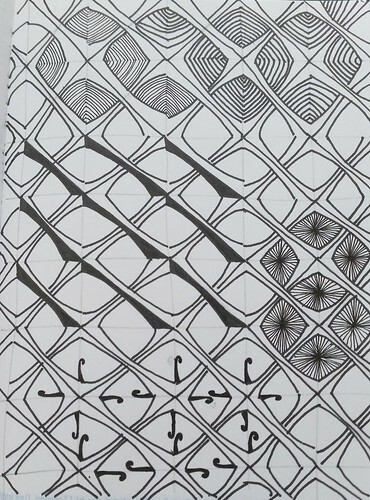 I love all the different „over under“ tangles you used, and the shading with lines and crosshatching…unique. fun to look at. I like it!